A proposal to raise the federal statutory cap on private activity bonds or PABs and making changes to the Transportation Infrastructure Finance and Innovation Act or TIFIA funding program are the focus of two new pieces of legislation co-sponsored by Sen. John Cornyn, R-Tex., (seen above) and Sen. Mark Warner, D-Va., and Tim Kaine, D-Va., respectively. Sens. Cornyn and Warner introduced the Building United States Infrastructure and Leveraging Development or BUILD Act on Feb. 6 that would raise the cap on PABs issued by or on behalf of state and local governments for highway and freight improvement projects from $15 billion to $20.8 billion. As a result, that would increase the amount of tax-exempt bonds the U.S. Department of Transportation can approve for such projects by $5.8 billion. “Not only will this legislation help boost U.S. competitiveness, it will also help close our nation’s infrastructure gap in a responsible way by facilitating proven methods of partnering private investment with public funds to help make desperately needed infrastructure improvements,” added Sen. Warner. Meanwhile, Sens. Cornyn and Kaine introduced the Revitalizing American Priorities for Infrastructure Development or RAPID Act on Feb. 6 as well; legislation that would not only streamline the application process for assistance under the TIFIA program but “increase transparency in the vetting process” for projects seeking TIFIA funds. 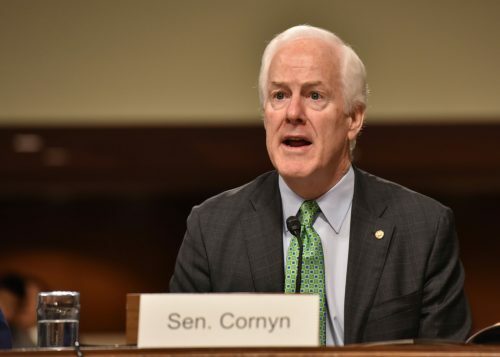 “The arduous application process has served as a roadblock for many state and local governments,” Sen. Cornyn said in a statement. He added that the RAPID Act would raise this threshold for securing multiple credit rating agency opinions from $75 million to $150 million, reducing the overall review timeline and potentially encouraging greater participation in the program. Sen. Kaine also pointed out that this bill would increase more “overall transparency” in the TIFIA process by ensuring applicants, the general public, and Congress are “well-informed” by requiring the U.S. Department of Transportation to publish application “status reports” online.